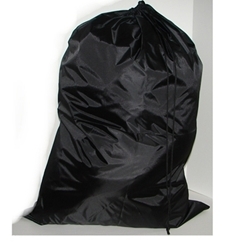 This is our new 30"W x 40"L black heavy weight laundry bag. It has a draw cord top slip lock closure. This laundry bag will complement any laundry room and is also a great item to take on the road while traveling. Good for commercial or home use.